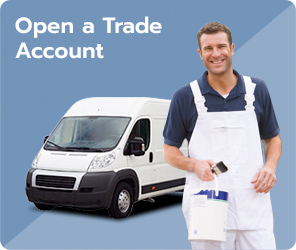 We are a family owned business, aiming to provide an excellent range of services & stock to the public, DIY customers, independent decorators, contractors, & the retail trade. Wholesale and Commercial accounts available on request. 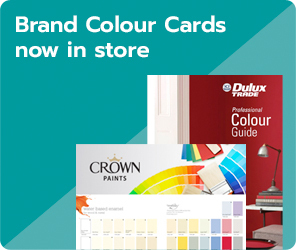 In store we are able to mix thousands of colours from leading & emerging brands. 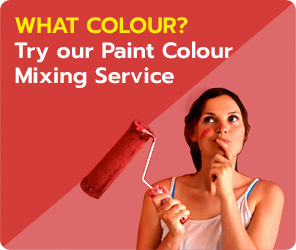 We offer an extensive range of paints, expert advice & services, all at competitive prices. We display over 200 wallpaper books in our wallpaper room, where customers have the opportunity to sit and browse the vast range of patterns available at their leisure. We offer a loan facility where customers can borrow several books at a time to take home and make selections. Our vast warehouse, houses the variety of products ranging from Dulux, Crown, Macphersons to Sikkens, Ronseal & Hammerite, ensuring that whatever you require is in stock. At Winterstoke we aim to supply all your decorative needs, from a brush to a bucket, a roller to a rag, a filling knife to Frog Tape, visit our store today!